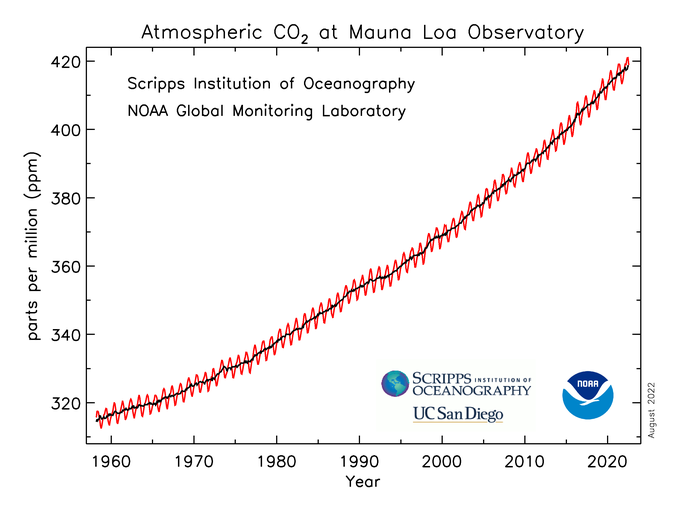 A Closer Look: Global Temperatures Since 1998 | Fresh Air. The Scent of Pine. 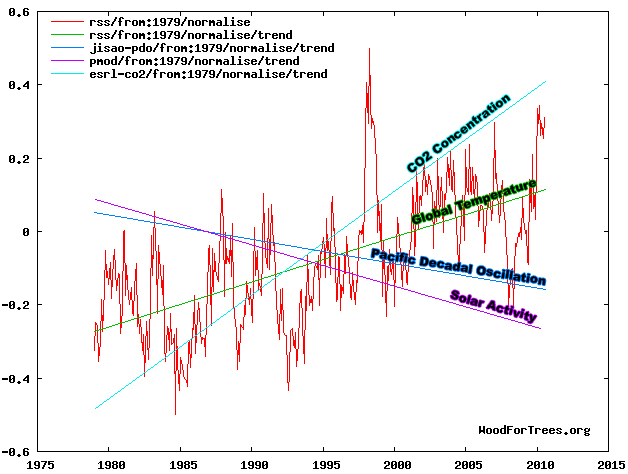 Didn’t warming end in 1998? No. 1998 is considered widely to be the hottest year globally on record. While anthropogenic global warming (AGW) certainly contributed to the warmth that year, it was supported by what some scientists call the “El Niño of the century”. El Niño, and its counterpart La Niña, are fluctuations in the atmospheric system in the tropical Pacific that significantly influence global wind currents and, as a result, the overall climate during these conditions. 1998 saw a particularly strong El Niño state which drove global temperatures to record levels. The presence of AGW does not turn off natural fluctuations in the Earth’s climate. AGW is one influence on the Earth’s climate system. Natural influences can either work in conjunction with AGW, such as El Niño conditions to drive temperatures up, or in opposition to AGW, such as La Niña conditions which drive temperatures down. It’s important to note that these natural influences over shorter durations are either single instances, such as volcanic eruptions, or are cyclical in nature, such as El Niño and La Niña. So, while natural conditions may temporarily work in opposition to AGW, masking the influence of AGW on the climate, these conditions are short term. AGW on the other hand is not cyclical and is constantly influencing the climate in a single direction. If you look at temperature trends since 1998 from all four major temperature data sources (NASA GISS, UAH, HadCRUT, RSS), all four have shown a continued upward trend. NASA GISS concluded that 2005 was a statistical tie with the warmth of 1998, and this time without the contributions of a large El Niño effect.